Scott Grey, an army nurse, attends the Army Medical Services annual Carol Service at the Royal Military Academy Sandhurst Chapel with a special friend. He has been volunteered by his Adjutant to represent the QARANC and give a Bible reading. But what is his angelic gift and will it be a Happy Christmas for Scott? Events take place after The Drummer Boy. 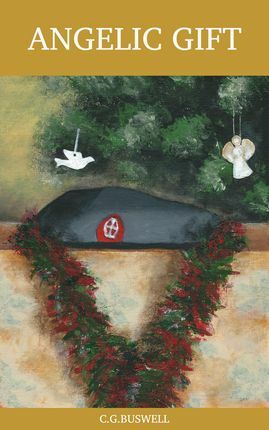 Scott gave the door to the Adjutant's office a firm double tap, inwardly relieved that the double-bangs of the Drummer Boy were no longer whirling around his head like a festive piece of tinsel caught in an errant seasonal wind. Naomi, ever at his side, gave him a cheeky wink. Scott smiled back, blessing himself, as ever, that she was back in his life, albeit, in spirit form only. �Come in,� shouted the Adjutant loudly, to help her voice penetrate through the solid fire-door to her office. She was not known for having an open-door policy. Nor for her quiet voice. Scott secretly thought all the bluster and bravado was wrapped around a sensitive inner soul. Scott opened the door, swiftly entered and closed the door as quietly as possible, hoping that this would encourage the Adjutant to perhaps, just for once, talk at a normal conversational level. He was to be disappointed. �Ah, young Grey, how are you?� she boomed across the desk as Scott marched the few feet and gave her one of his precisely timed and executed salutes. �Nae bad Ma�am,� he replied as he stood rigidly to attention, trying not to laugh at Naomi who had placed herself by the Adjutant with her fingers in her ears and was bent forward as if sheltering from the sound and blast of a cartoon bomb explosion. Naomi, still stood beside the Adjutant, and in direct eyeline to her fianc�e Scott, stifled an over-exaggerated yawn with her hand. Buy Now for just £1-99.